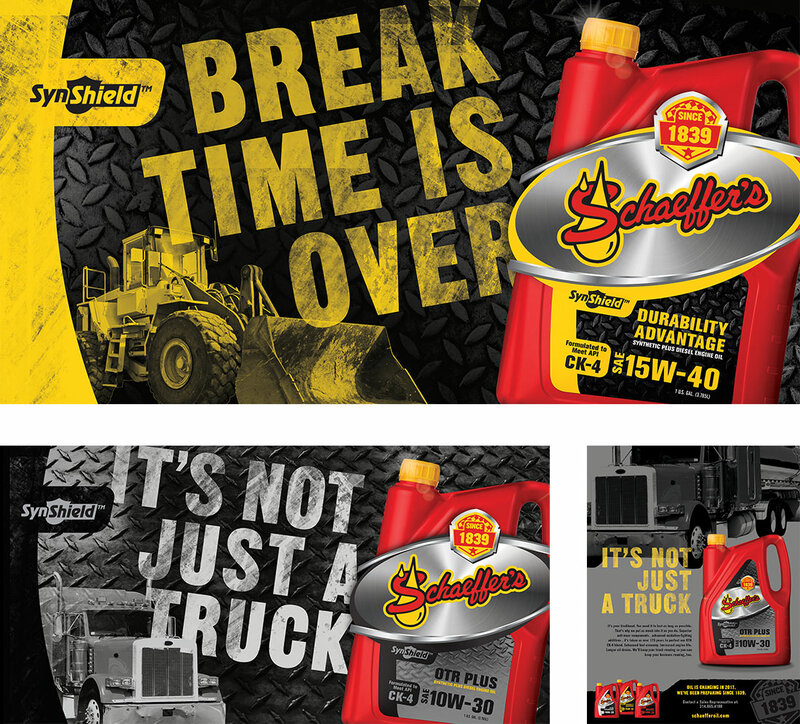 Schaeffer’s Product Line Branding - Phoenix Creative Co.
A new brand goes well beyond a logo. We knew after Schaeffer’s came to us with the challenge of helping to name, brand, and position their new PC-11 compliant oils that we’d start our thinking from the aisle out. All of PHX’s retail branding efforts consider the consumer, however, we also consider the unique retail environments and channels that carry the product as well—and we start our thinking there. 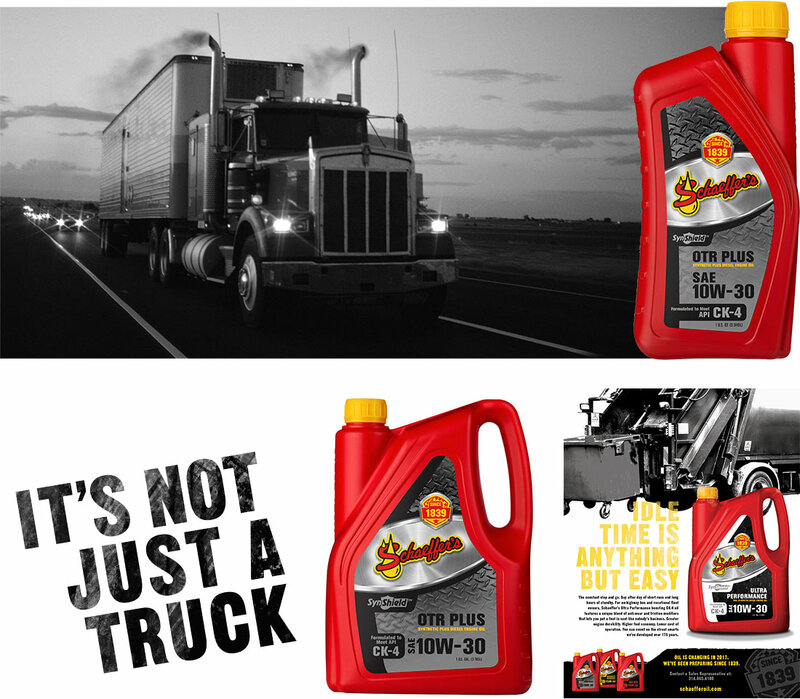 Schaeffer’s new oils will help truckers, farmers, and large equipment operators of all types become compliant with new 2017 federal standards that affect their diesel equipment. In order to communicate the benefits of this new line of oils, each end-user category was considered as a separate consumer base with a product line developed specifically for them. The four product lines were each assigned a unique color code system, naming convention, market message, ancillary texture, and application imagery in order to quickly communicate to diesel operators which variation was engineered specially for them. 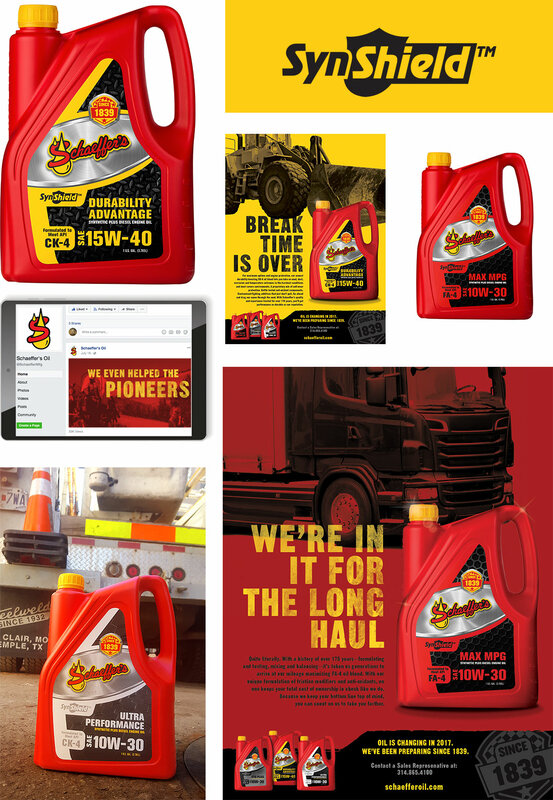 From mom-and-pop truck stops to rural county co-ops to national fuel centers, this brand needed to stand out and work quickly to accurately communicate the intended usage types and engine formats each oil type was developed for. Ultimately, personality, tone, and technical data were as important as color, image, and design—collectively, the brand became another symbol of Schaeffer’s 175+ year history of innovation geared toward keeping machines and people performing at their best.